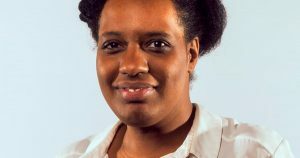 A blog by Ani Bailey, Financial Capability Chair on the NASMA Board and Coordinator for Financial Support at Ravensbourne in North Greenwich. Monday (12 February) saw the start of the eighth annual National Student Money Week (NSMW), run by the National Association of Student Money Advisers (NASMA). This year the week is focusing on a theme of ‘Where I Live’. NASMA’s 600+ advisers support students who have money worries. As an organisation, we bring together advice professionals from across the sector, helping them exchange ideas and information freely. We have members in all four countries in the UK. ‘Where I live’ was chosen as this year’s theme due to the financial pressure related to housing – including debt, budgeting and rent costs – that is becoming a huge barrier to students’ learning. According to Save the Student, the average student rent is now around £125/week, going up to over £180 in London. It’s no wonder that 17,000 students living in UK university halls of residence fell behind with their rent payments last year. This can have a huge impact on the mental health of students, just at the time they need to be focusing on their studies. Recent research conducted by the Money Advice Service highlighted that earning enough money to pay for rent and bills was one of the biggest worries for young people. So, this week NASMA money advisers will reach out to as many students as possible to raise awareness of our organisation and the advice and guidance we offer. We will be hosting a range of activities in support of ‘Where I Live’ and partnering with many stakeholders to champion this important message. We cannot do it alone. A big part of our work is about collaborating more effectively with others to build campaigns. The Money Advice Service, The Mix, The Money Charity, University London Housing Service and ASRA will be working proactively with us to deliver our most ambitious NSMW yet. These partnerships provide a unique opportunity to communicate with students through stalls on campus and themed events. We are keen for as many organisations to work with us as possible, both this week and in the future. So please, get in contact and see how you can help out. Further details about NSMW18 supporters can be found on the NASMA website: www.nasma.org.uk. Follow National Student Money Week 2018 on Twitter at #NSMW18.